A missing tooth is not only aesthetically unappealing, it can also make chewing difficult while playing havoc with oral health. Fortunately, there is a solution: Dental Implants! 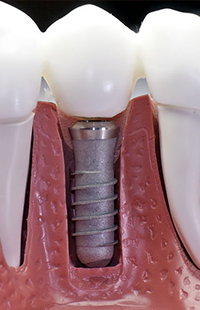 Dental implants are essentially titanium posts that are fixed into your jawbone through surgery. During the time of healing, the jaw bone attaches itself to the prosthetic in a process known as Osseo integration. 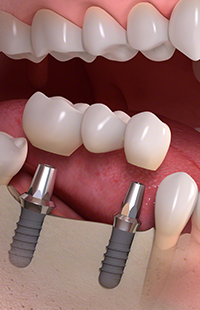 Later, a replacement tooth such as a crown, denture, or bridge can be attached to the implant. With proper care that our dental implants experts will provide to you, these prosthetics can last for a lifetime. The success rate, however, depends on the quality and quantity of the existing bone during the time of implantation. As per statistics, there is a 90% success rate for the upper jaw and lower portion of the lower jaw and almost 100% success rate for the front portion of the lower jaw. Results may also vary according to the lifestyle of the patient. They optimize digestion and chewing. They prevent bone loss due to missing teeth. They enhance the quality of your life. They replace missing teeth permanently. They enhance the aesthetic value of the teeth. A precise and delicate procedure like placement of implants entails knowledgeable and skilled doctors. If you are thinking of getting dental implants in Baltimore, Dr. Elnadi is the right man for you. He has the fine-tuned skills and expertise to offer quality treatment. To learn more about Dr. Elnadi and his qualified staff, please contact our administrative department at 410-999-1111. 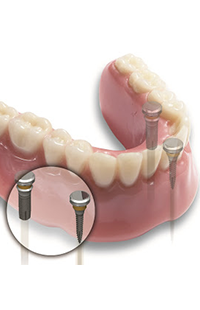 We will be more than happy to answer your queries regarding dental implants in Baltimore.